Laser teeth whitening vs. professional teeth whitening trays--which is best? Next time you spot an ad pushing laser tooth whitening, take a closer look. What’s being promised there? Pearly white teeth within an hour? Impossibly white incisors? Laser whitening treatment is the latest modern dentistry fad, and it’s working. The marketing offers customers whiter teeth in a shorter period of time than any other whitening solution out there. It’s safe and fast. It might cost a bit more, but you’ll never have to worry again. The fact is that laser whitening is still very much a new technology, and the battle over scientific data--including response times, increased sensitivity and danger to your teeth’s pulp--is still being challanged. How does laser work in contrast to trays? Contrary to the high-tech notion that the lasers themselves may blast the dirt off from your teeth, the laser itself doesn’t do the cleaning. Dentists have to apply a peroxide paste--either hydrogen peroxide or carbamide peroxide, both in higher doses than normal--across your teeth, and then heat it up with an argon or CO2 laser. With whitening trays, the peroxide itself releases oxygen molecules that seep into the outer layer of your tooth, called enamel, and break down stains over a few hours. Lasers are different because they heat up the oxygen process more quickly [Ho, 2013]. While you would bring a tray home and wear it nightly for a few days or weeks (depending on the severity of your discoloration), laser bleaching purports to remove all stains after 2-4 thirty minute applications (1 per 10 days). Must set dental appointments and take time out of your day for treatments. It's tough to list any cons associated with teeth whitening trays other than it requires more applications than laser teeth whitening. In fact this "con" is cancelled out when you factor in the 2-3 visits for laser whitening must be spaced out with 1-2 week gaps. Taking the gaps into consideration laser whitening actually makes the process longer than whitening with trays. It is a misconception that laser whitening can always brighten your teeth in a single visit. It is not uncommon for customers to report seeing little difference in tooth whiteness after just one session [Haywood, 1999]. That said, even with multiple sessions at an average of 30 minutes apiece, the process is still substantially faster than whitening trays, which generally involve the customer to adopt a lifestyle change for the few weeks he or she is undergoing the process. A big debate issue is safety. While laser usage appears reasonably safe, issues surrounding sensitivity, the peroxide amounts and chemical combination have been argued in the past. Some believe that the laser’s heat can permanently weaken teeth pulp, whereas others worry about eroding the patients’ enamel. Because most ADA-approved peroxide formulas float around 10 percent for slower whitening procedures, to work with a peroxide mixture more intense than that--meaning 35 to 44 percent hydrogen peroxide, as is the case with lasers--is, in a few situations, dealing with products not approved by the ADA. That doesn’t necessarily mean they’re unsafe, though. The Canadian Dental Association notes that laser procedures have simply “undergone little scientific assessment” [CDA, 2014] and ought to be more thoroughly examined before judgments are made, while the ADA has noted that most of their studies “reported no additional long-term benefit” to using lasers for whitening [ADA, 2012]. Perhaps the most discomforting thought about laser teeth whitening is the price tag--costing somewhere around $1,000, laser teeth whitening procedures are without debate the most expensive whitening route to take, especially considering that repeat visits will likely be required, as well as a possible mouth trays for maintenance. Ultimately, it depends on your budget and timeframe, and whether your dentist agrees that it’s a good idea. Don’t let the advertisements make up your mind for you. 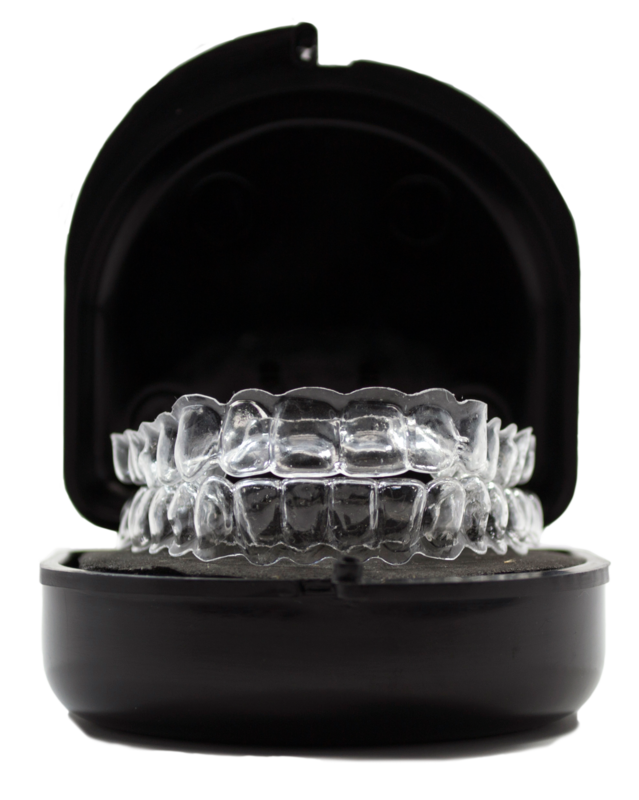 If you opt for custom fitted teeth whitening trays you can either purchase them from your dentist for $500+ or from Smile Brilliant for much less. When it comes time to whiten your teeth again in the future you will already have the trays so for maintenance all you must do is reorder carbamide peroxide gel syringes. Annual maintenance cost are only $30 on average!